If you speak French, you know that Bijou means jewel, and if you drink cocktails, you know that the classic Bijou is made by mixing three spirits whose colors represent three different jewels: diamond, emerald, and ruby. 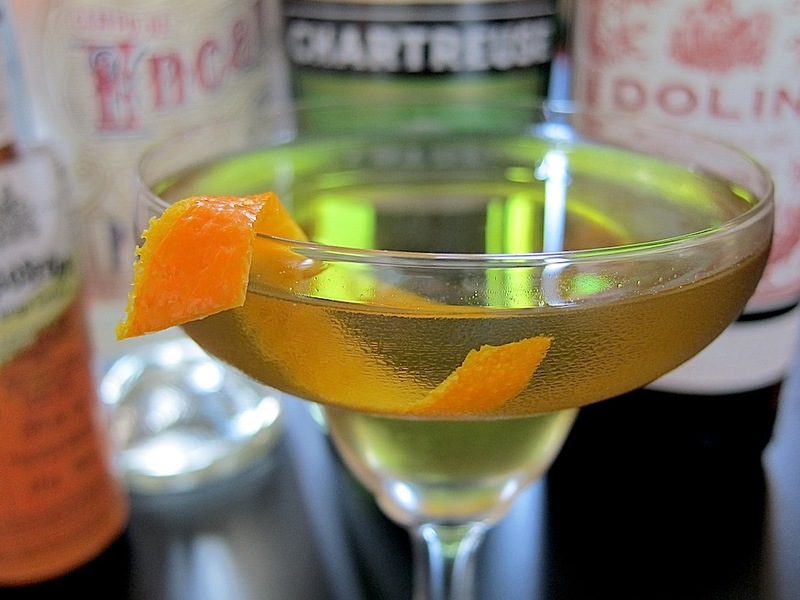 In the classic Bijou cocktail, gin is used for the diamond, but here, the diamond is Pisco, which plays very nicely with the aromatics from the chartreuse and the sweetness of the vermouth. If you don’t speak French, don’t worry, one sip of the Pisco Bijou will make you fluent and one drink might get you into a little bit of trouble: Voulez-vous un Pisco Bijou mon cheri? Mix the Pisco, Green Chartreuse, sweet vermouth, and dash of orange bitters in a stirring glass with ice. Stir for 15 seconds to chill. Serve strained in a coupe, and garnish with an orange peel. Green Chartreuse has a fascinating history, and was originally created as an elixir for long life by Carthusian monks in France. Its recipe is a closely guarded secret that combines 130 herbs, flowers, and other ingredients in a wine alcohol base. First made in 1605, it is rumored that monks perfected the recipe over a period of 100 years. Which means Green Chartreuse was first made around the same time Pisco was first distilled in Peru.